The Foundation for Thayer County Health Services was organized on September 20, 1983 by a group of nine Thayer County men and women who were determined to help ensure quality healthcare remained available in Thayer County. The Foundation is governed by a board made up of nine to twelve board members from the eleven towns throughout Thayer County. Board members meet every other month to plan their fundraising events. The funds raised are used to purchase new hospital equipment or support various programs. Annually, the Foundation hosts two fundraising events; their Golf Tournament on the 1st Friday in June and the Variety Show held in November. In addition, the foundation holds an annual membership drive and actively works with individuals on planned giving as a way to provide support for Thayer County Health Services. The foundation has conducted three Capital Campaigns. In 1996, the Foundation conducted the “Pioneers in Healthcare campaign that raised over $1 million in support for building a new Hebron Medical Clinic and converting the old clinic into the Rehab Department. In the Spring of 2004, the Foundation for Thayer County Health Services conducted a second Capital Campaign “Growing to Meet Your Needs” to help raise $1.5 million toward a 25,000 sq. ft. addition to the east side of the facility. This project included a new radiology dept., laboratory, six new private patient rooms and a lower level administrative space. Later, a generous gift from the Erwin A. Dunker estate allowed the hospital to remodel the previous lab and radiology departments into a modern Surgical Center. This project was completed in 2008 and an Open House held on May 2, 2008. The 2015, the Foundation for Thayer County Health Services received a generous gift of $6.9 million from the estate of Glenn H. Korff, a Hebron native. This gift covered the cost to build a new Rehab and Wellness Center off the north side of the hospital’s lower level. To learn mores about the Korff Fitness and Wellness Center go to their web page. 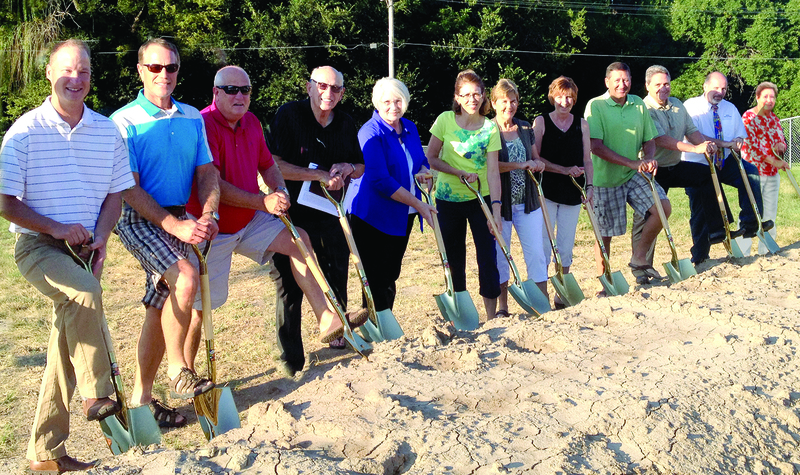 On August 2, 2015 Thayer County Health Services held a groundbreaking ceremony to mark the start of its $14.8 million dollar Renovation and Wellness project. 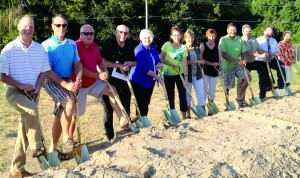 The Foundation for Thayer County Health Services conducted a Capital Campaign “Investing in Healthier Tomorrows” in conjunction with the start of the building project. This campaign raised $1 million toward the cost for Phase II of the project. Phase II of the four phase project was the new kitchen and cafeteria that was put into the renovated space on the southwest corner of the hospital. This latest renovation project to the hospital and clinic was completed in March 2018. With the completion, the current services provided by Thayer County Health Services were able to be enhanced and expanded. Key areas of the hospital renovated were the emergency room, specialty clinic, the surgery center, and the labor & delivery room. In addition to the hospital, the Hebron Clinic was updated with new flooring, lighting, cabinetry and additional exam rooms were added. The registration area for the clinic was also updated and received a new layout for better workflow. For more information on the foundation’s current projects contact Rita Luongo, TCHS Development Director at 402-768-4636.